Art Gallery Cards: Let's Stamp! New Cards and an Altered Altoids Tin!! Let's Stamp! New Cards and an Altered Altoids Tin!! As always, I hope this week again finds you happy, healthy and enjoying many creative pursuits! 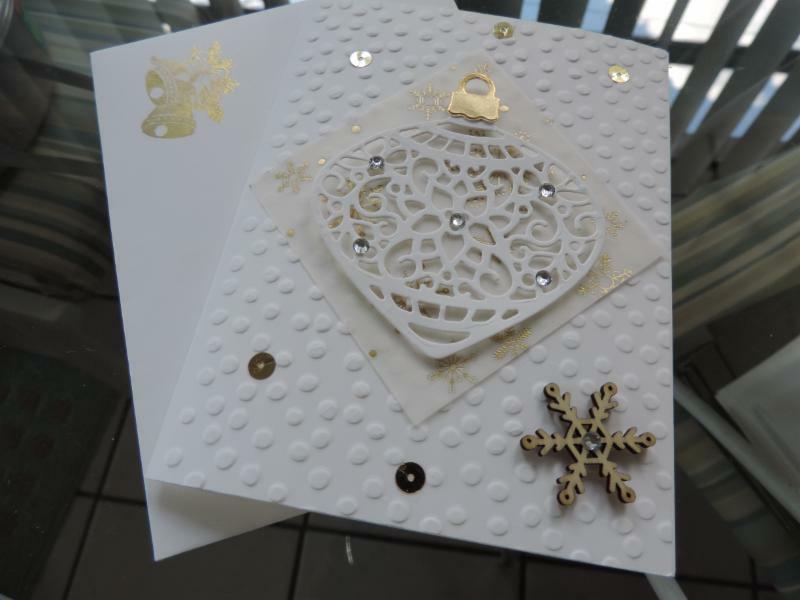 I'm looking forward to Round 2 of our Snowflakes and Holly Berries Christmas Cards Workshop tomorrow! 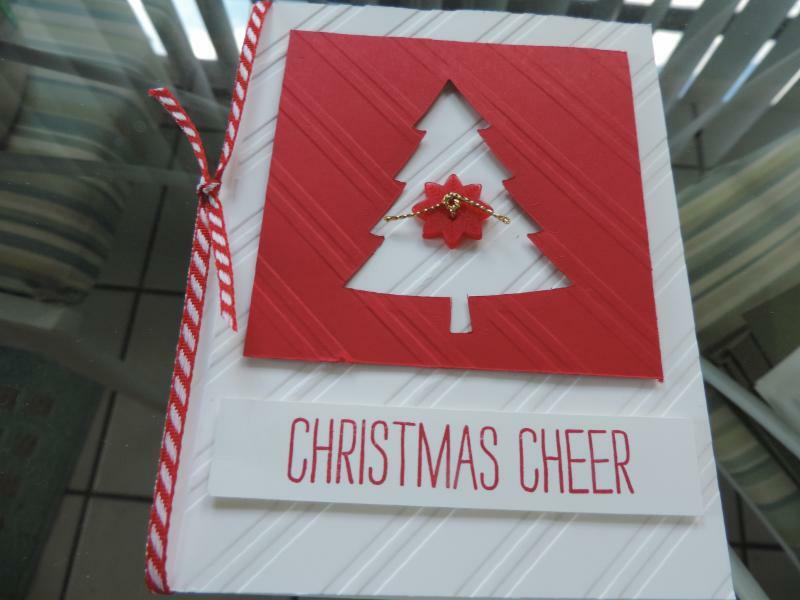 We'll be making these sweet cards-2 of each design! No worries if you were unable to join us! During November, in addition to our "Free Stuff" for your $40 order, you'll also receive the instruction sheets for these beauties. Email me for more details! Yes, I love these cards!! Sweet and simple!! 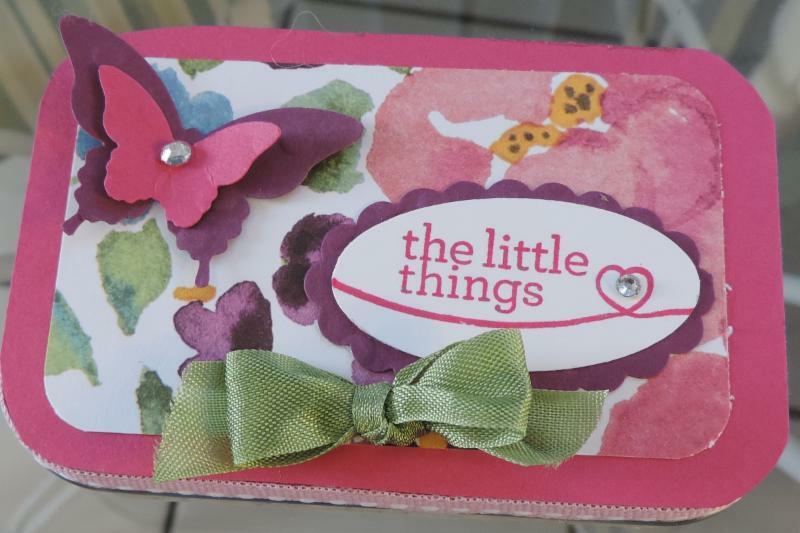 Here are a couple of the creations of cards using the "Oh What Fun" tag kit. The sky was the limit! Stampers received random tag pieces and a card base. A few extra embellishments and voila!! Creativity flowed!! So cute! Here are the cards of the week for this past week! I hope you'll enjoy them!! 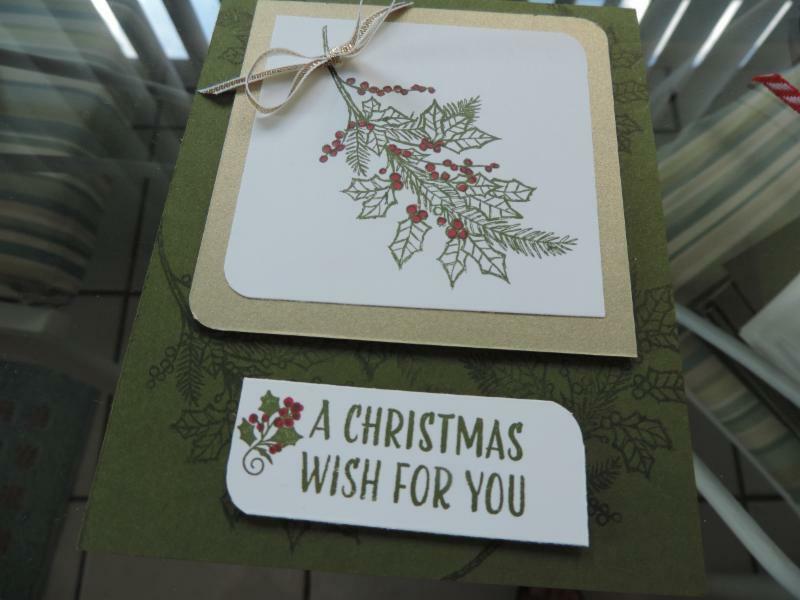 The first card was inspired by Erin Gonzalez, a fabulous stamper from Texas. 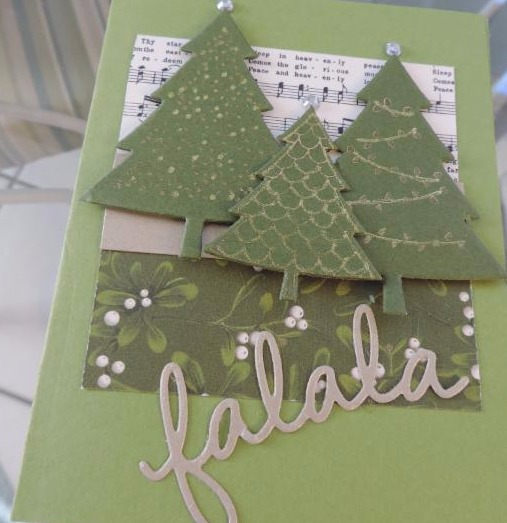 We used a gold glitter pen to accentuate the gold stamping on the trees. 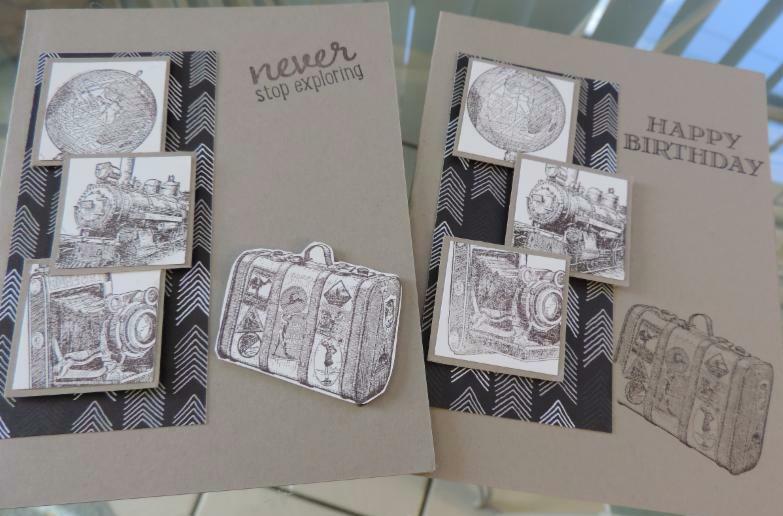 One of our stampers needed a birthday card with a suitcase image (They are taking a fabulous trip to Africa.) so I, of course, turned to one of my all-time favorites, "Traveler" for a quick, simple and stunning card. Here is our project for November 30! 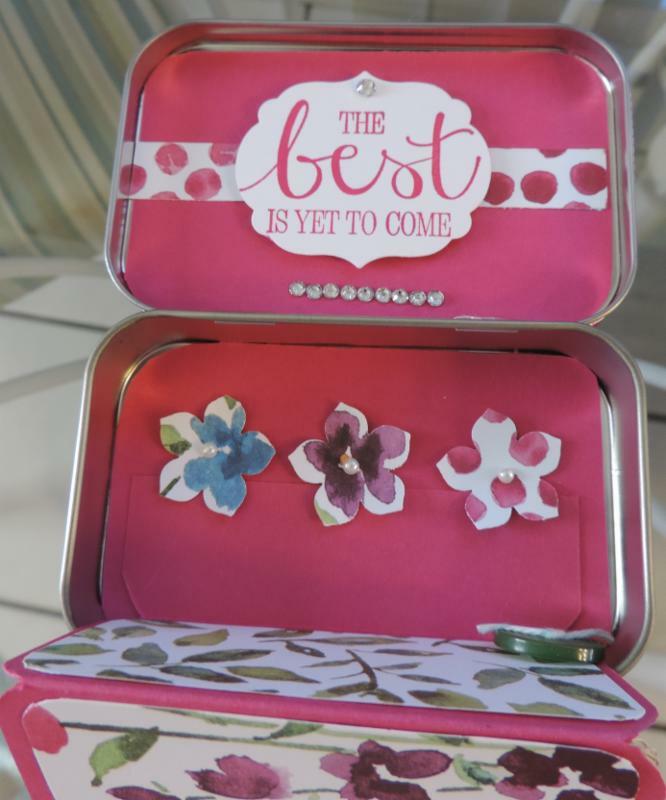 We will alter an Altoids tin to make this adorable mini photo album! Fun and easy! Come and join us! Keep in touch and Happy Stampin'!!!! 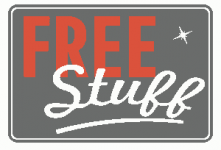 Monday, November 9, 10:30 am-12:30 pm and 1:30-3:30 pm. Please RSVP by Sunday at noon. SOS Stampers--At the Oasis on Tuesday, November 24 from 6:30-9:30 pm. . Don't forget to send good thoughts along to Dar, who is still recovering at home! 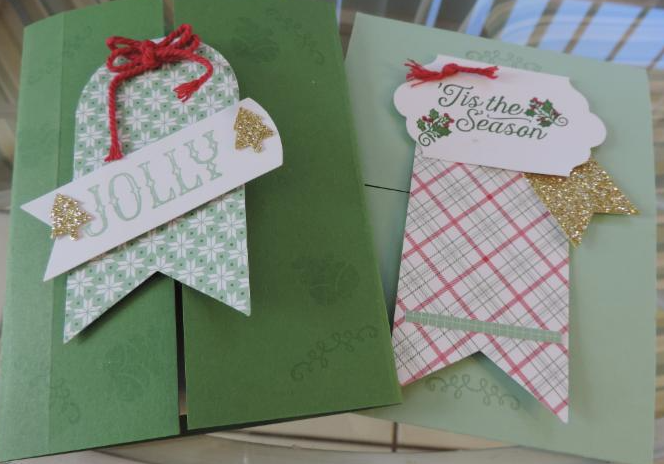 Also, free with your November $40 order--Instruction sheets for our Christmas cards workshops, as seen above!